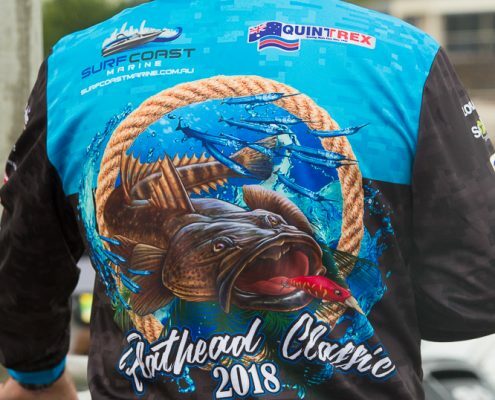 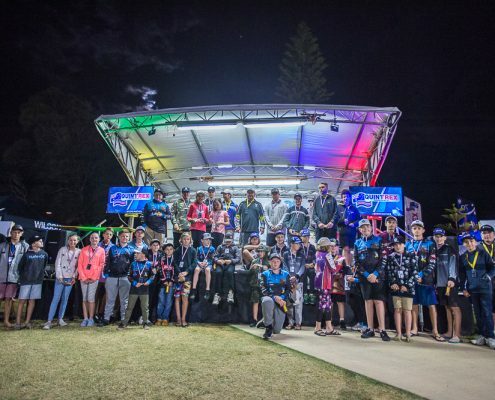 The 2018 Gold Coast Flathead Classic hailed a “Great Success”. 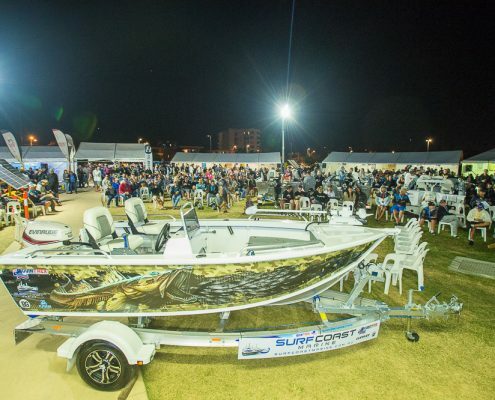 4 nights, 3 days of fishing, great family entertainment and much more. 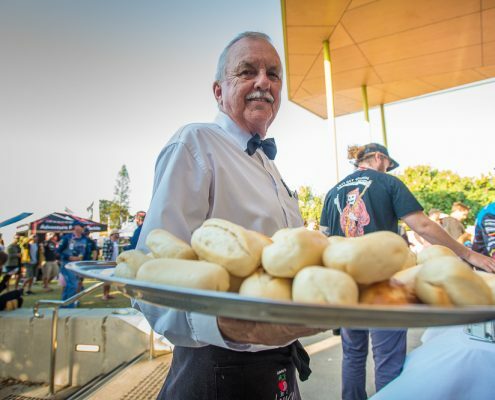 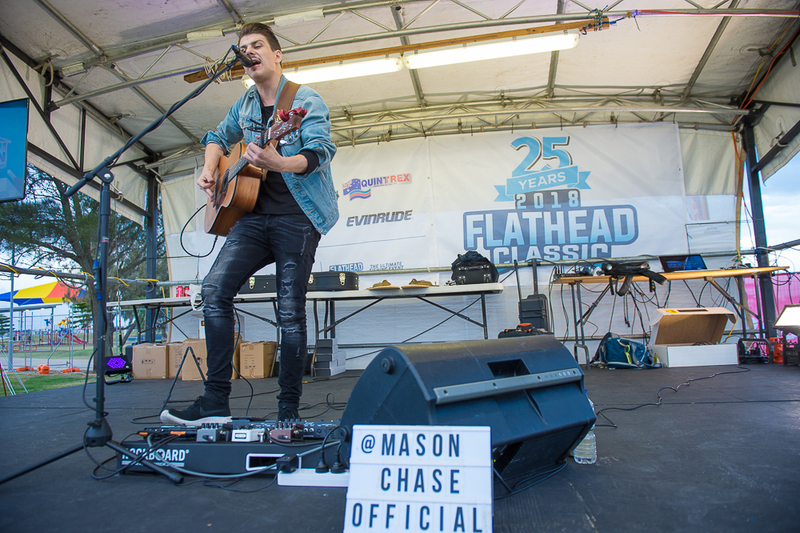 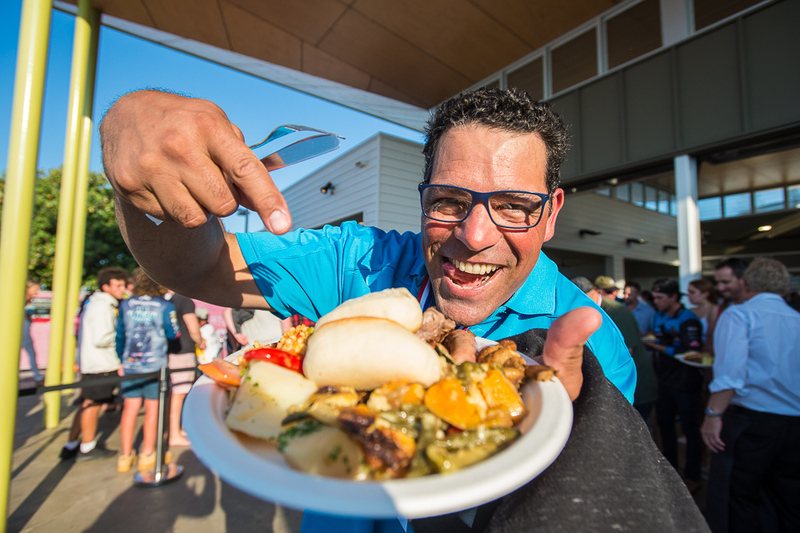 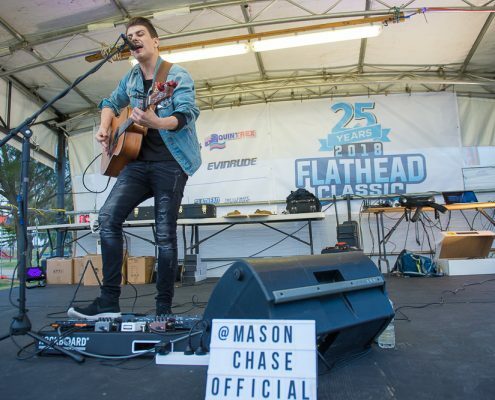 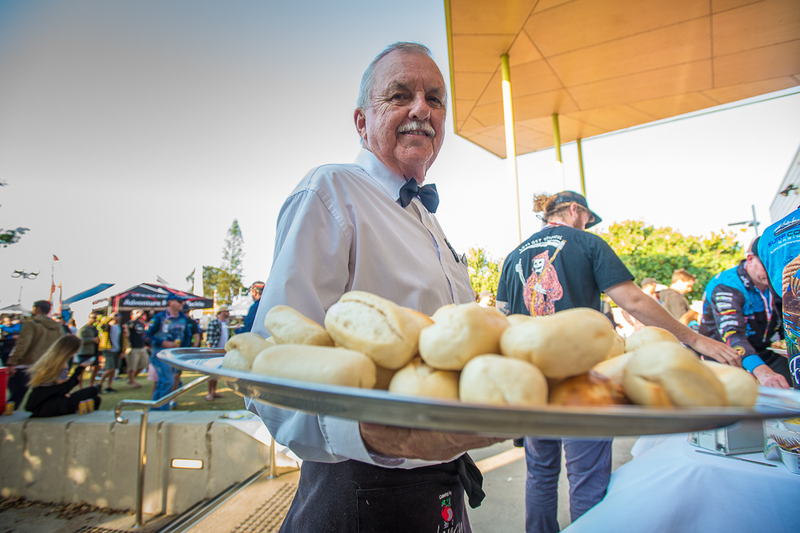 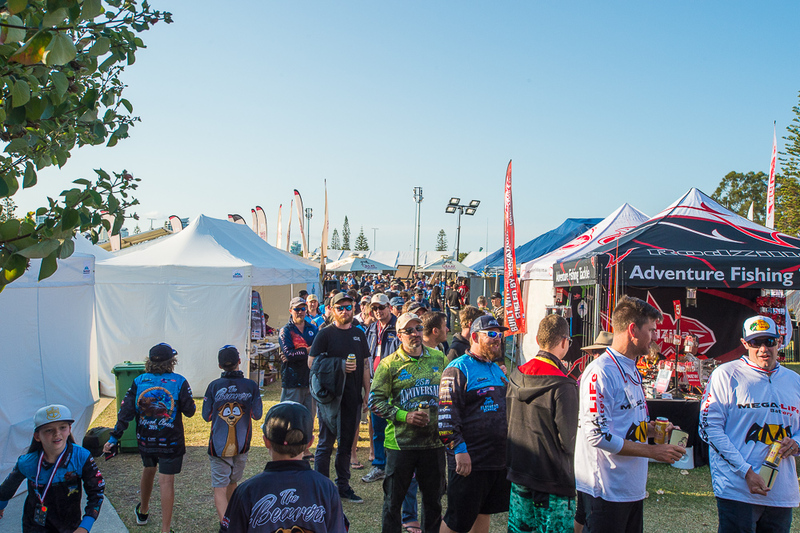 The 2018 Gold Coast Flathead Classic has recently ended for another year, and event organisers have relished in the success of the 25th-anniversary event. 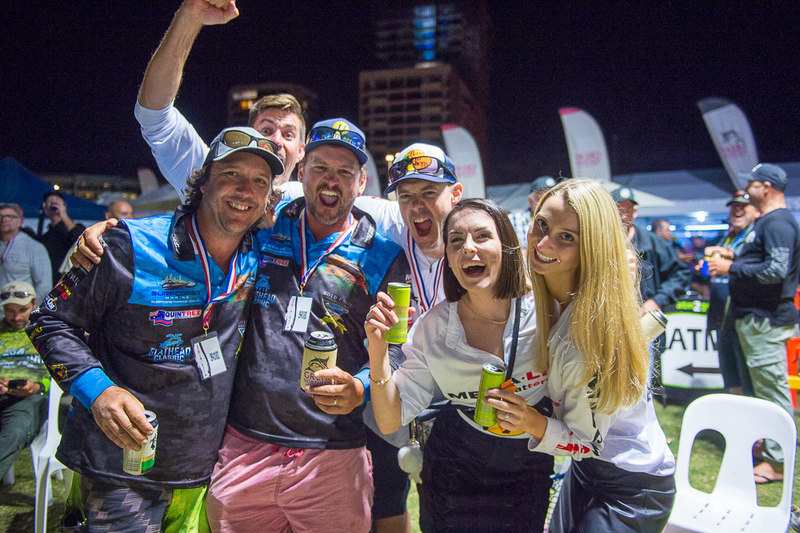 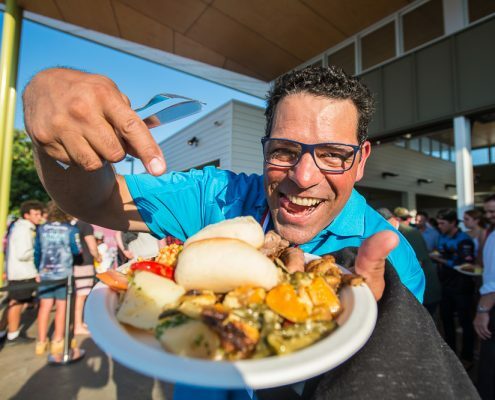 Hailed the best fishing competition Australia has to offer, the Gold Coast Sportfishing Club committee, set the target high for the 25-anniversary event, wanting it to be the biggest and best yet. 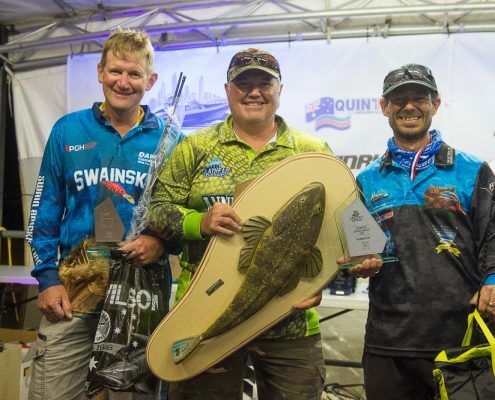 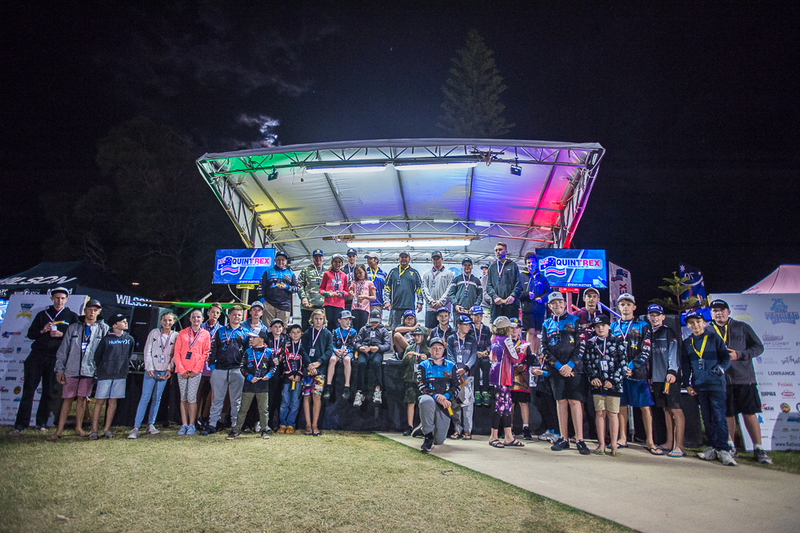 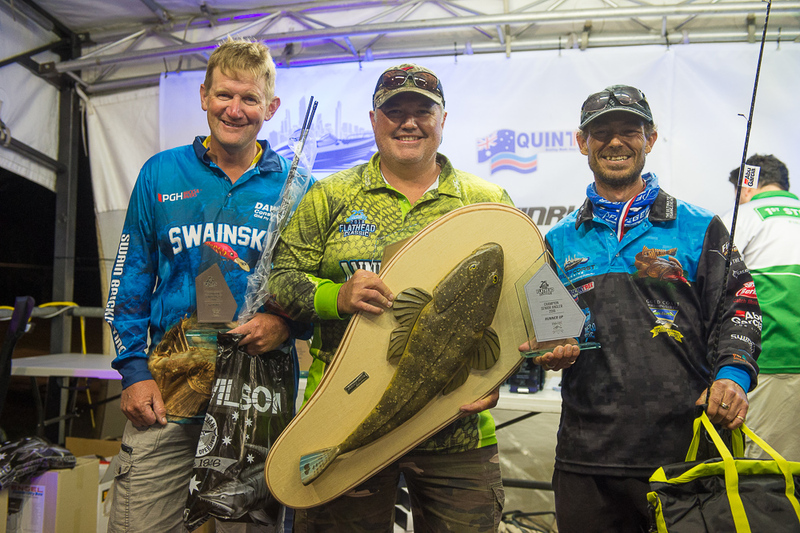 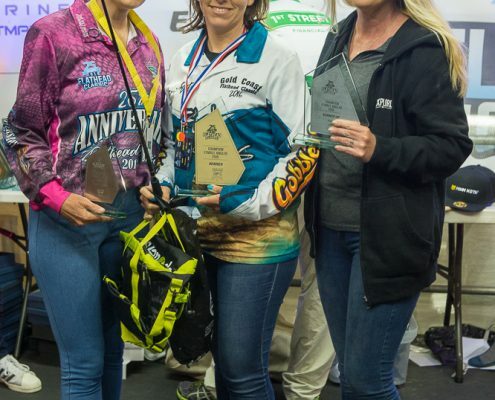 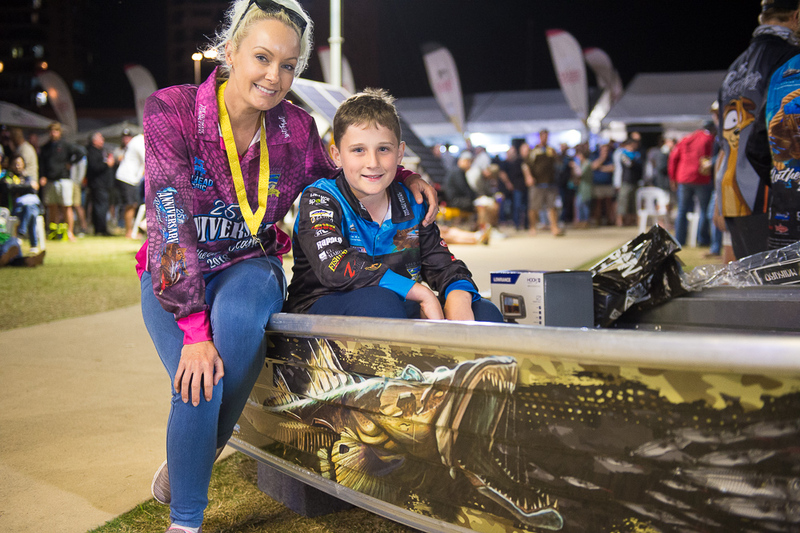 Travelling from all over Australia, the 2018 tournament set new records for attendance, with 692 anglers fishing the event, 69 of which were juniors and 37 females. 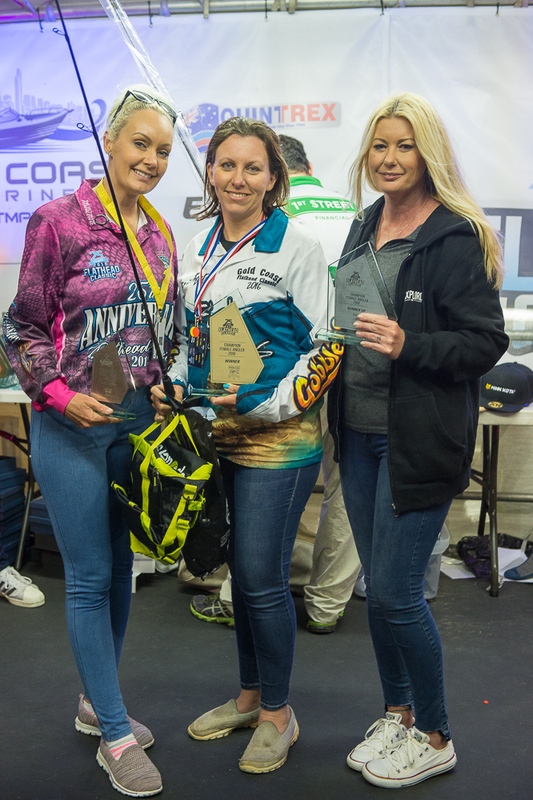 “It’s fantastic to see so many people entered into our event this year, we set the bar high, and we are delighted to have achieved what we set out to do”. 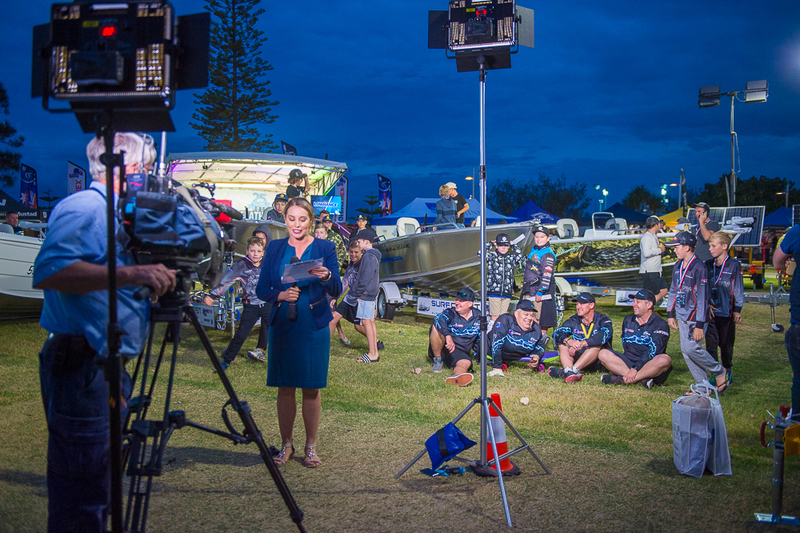 “We have gone to great efforts, trying to make this event something for everyone; especially families”. 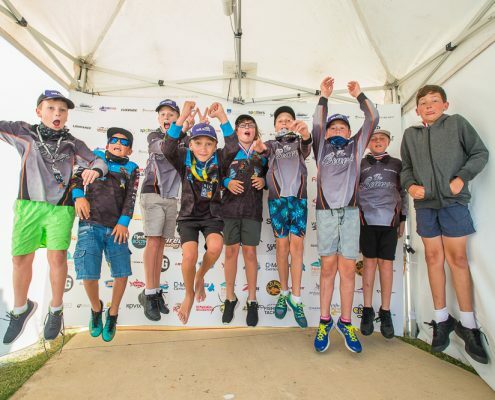 “Seeing such a high number of father-son teams and junior anglers compete in this year’s event, just shows that we have found the winning formula”. 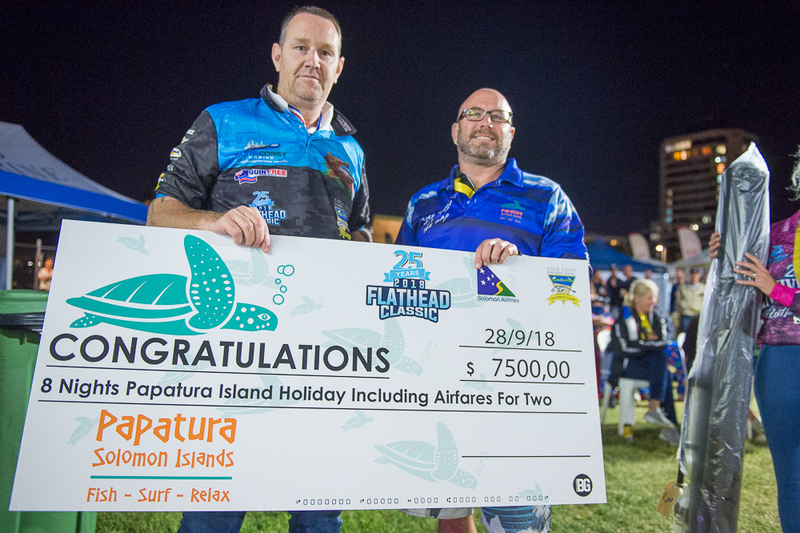 In a quick recap, the three days of fishing saw teams catch 4908 Flathead, with 2668 of the Flathead caught above 40cm. 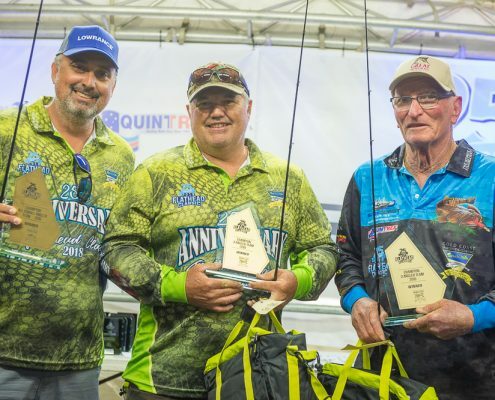 Entries into the competition set new records in 2018, with organisers recording 692 anglers, equating to just under 300 teams. 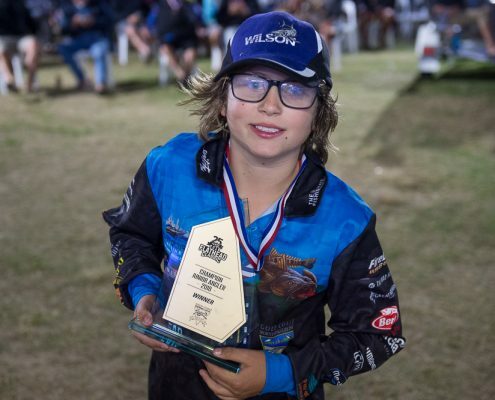 “Well, it’s taken a few days for things to sink in, I still can’t believe we managed to do as well as we did after a very ordinary opening day, only scoring a team total of 727 points”. 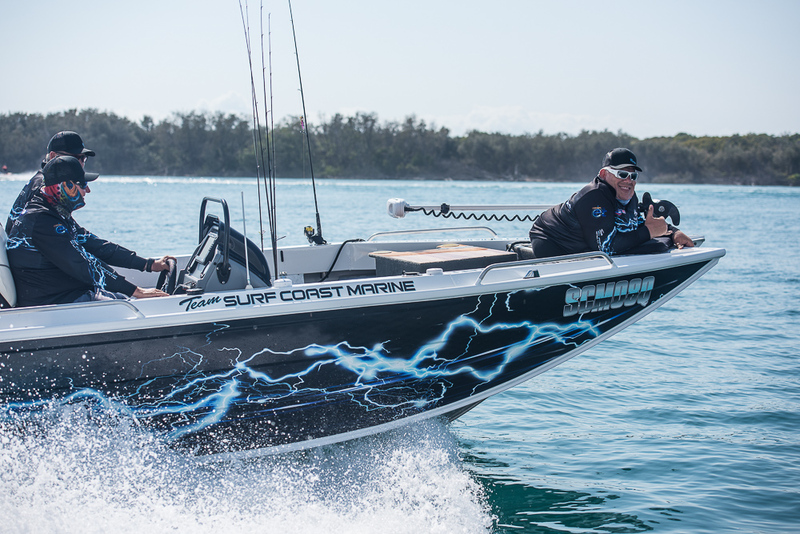 “Day 2 started poorly, Danny managed a 62 and a few small scores and I still by 9:30am never had a legal fish. 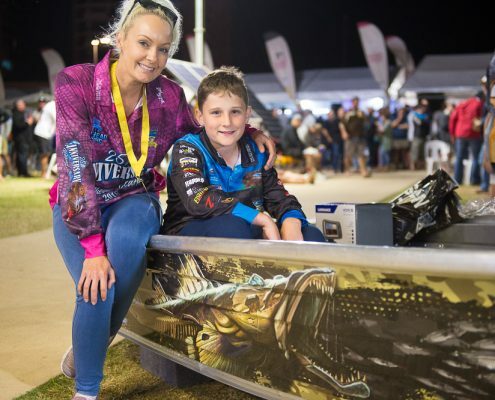 Then things changed we fished a shallow flat and was about to give up when Danny got a 59cm using a big hard body lure, so we turned around for a second drift and this is when my golden run started”. 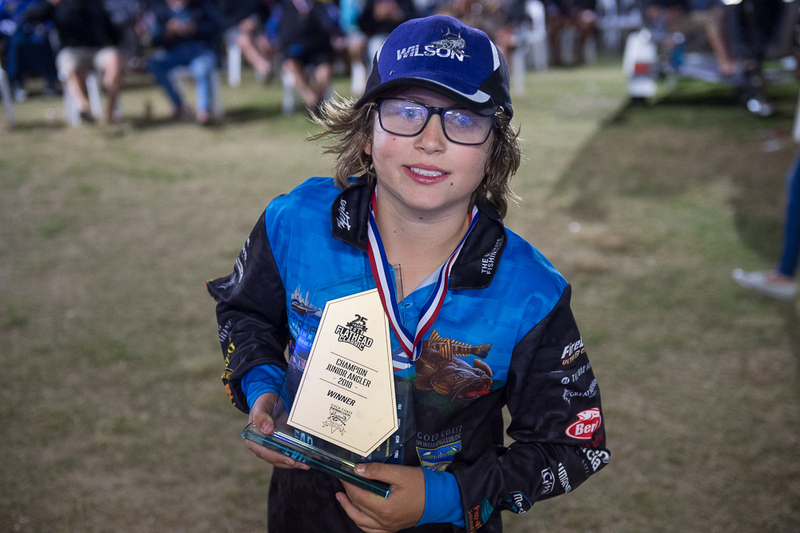 “I got a 79, 78 and 62cm very quickly, things got quiet and Danny suggested we fish a small hole in amongst the weed flats, this hole was amazing smashing another 18 fish 15 of those legal, another 77cm and a number ranging from 47cm to 66cm”. 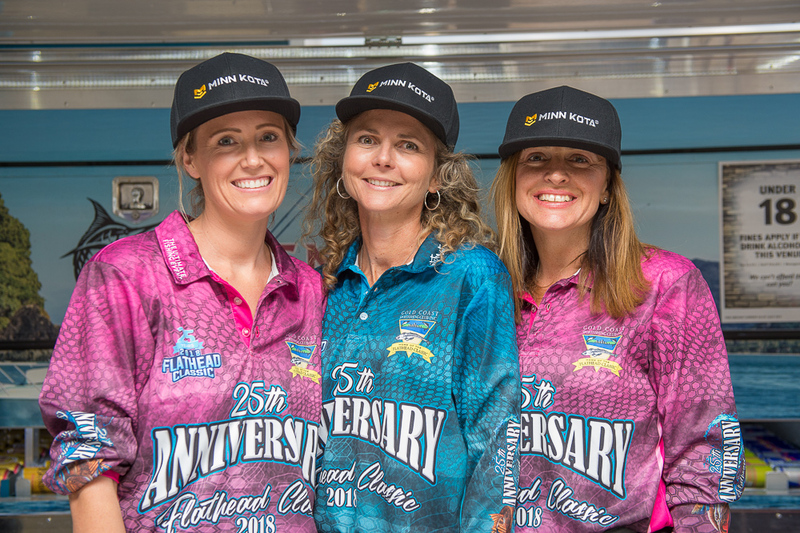 “Counting our scorecard, we were over the moon to come in with 1913 points, then realising after day two we were in with a shot”. 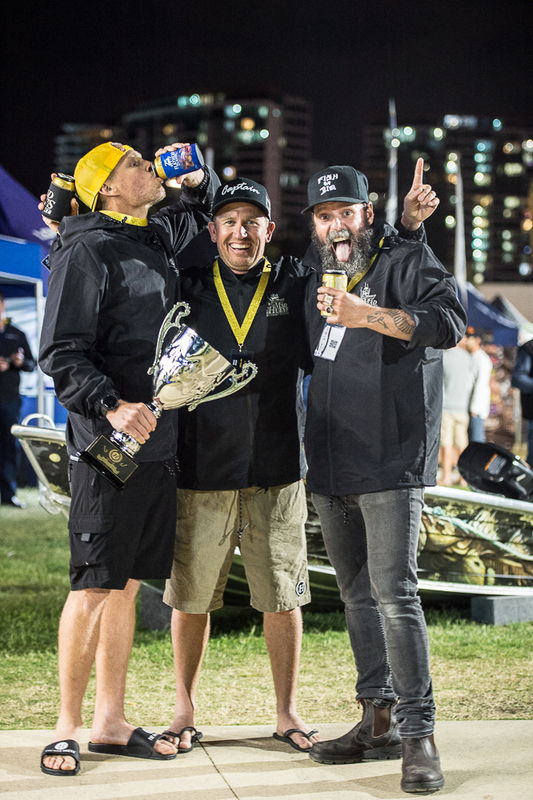 “Can’t thank Danny enough for Day 3, our day was ordinary just ticking over fish slowly but Danny would net my fish unhook it do the photos and write up the scores a bloody champion, this gave me more time in the water and it paid off scoring a 66cm at 1:50pm, enough to get me over the line”. 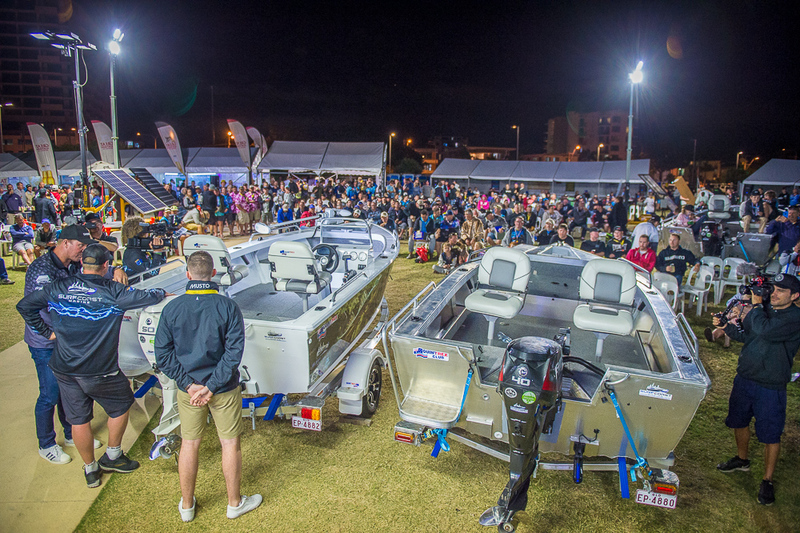 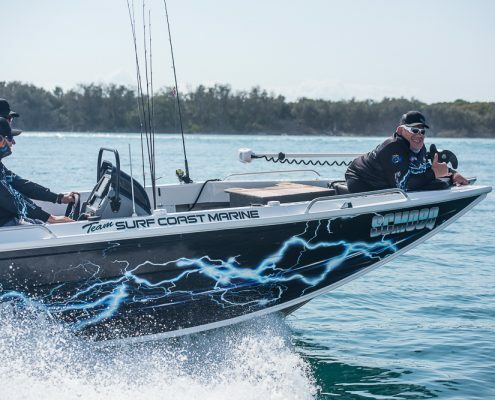 With a massive string of prizes awarded, Friday night saw Event Partner and Major Prize Sponsors, Surf Coast Marine and Quintrex give away 4 amazing boat packages, worth over $75,000. 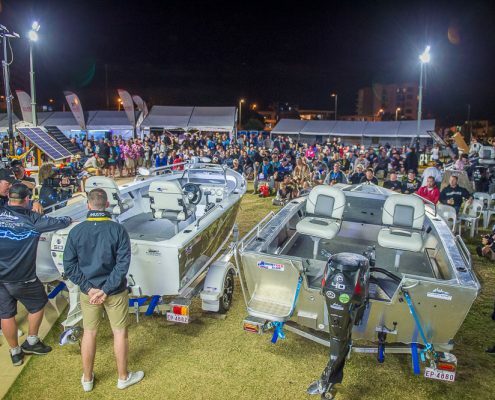 The Junior Boat prize and the Australia wide “Win A Quintrex” raffle were some of the highlights, but nothing could beat the hype of the final draw. 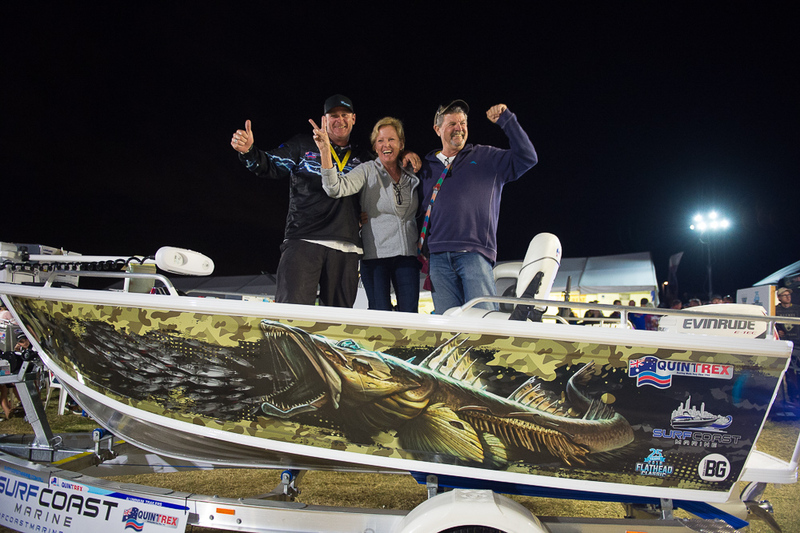 The major prize; a brand new Quintrex 420 Renegade Side Console, including trailer and Evinrude motor package was won by Julie Morrow, a local grandmother with a couple of grandkids who love to fish. 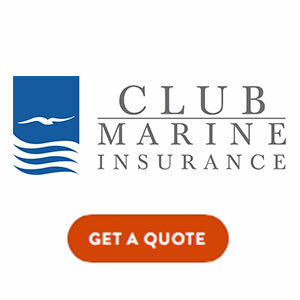 Julie said; “I’m over the moon to have won this fantastic prize. 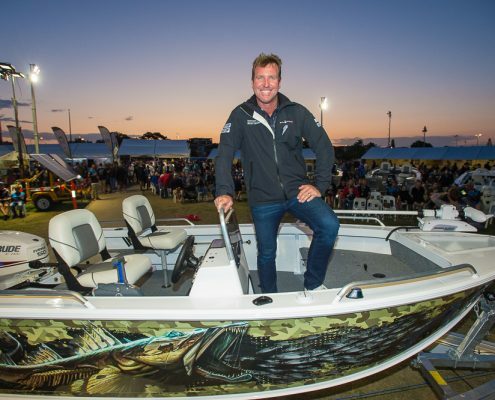 I normally can’t even win the chook raffle and here I am with this amazing new boat”. 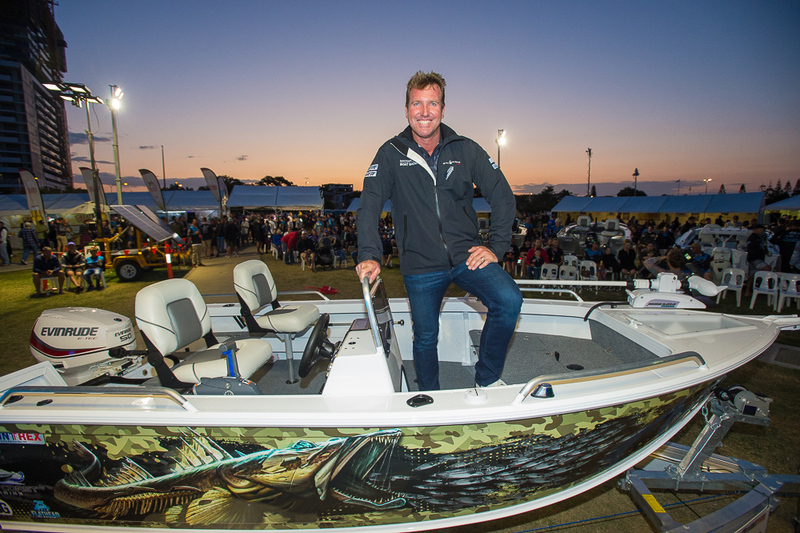 “I had no idea that when my name got called out that I would be the last man standing and walk away with this incredible boat package”. 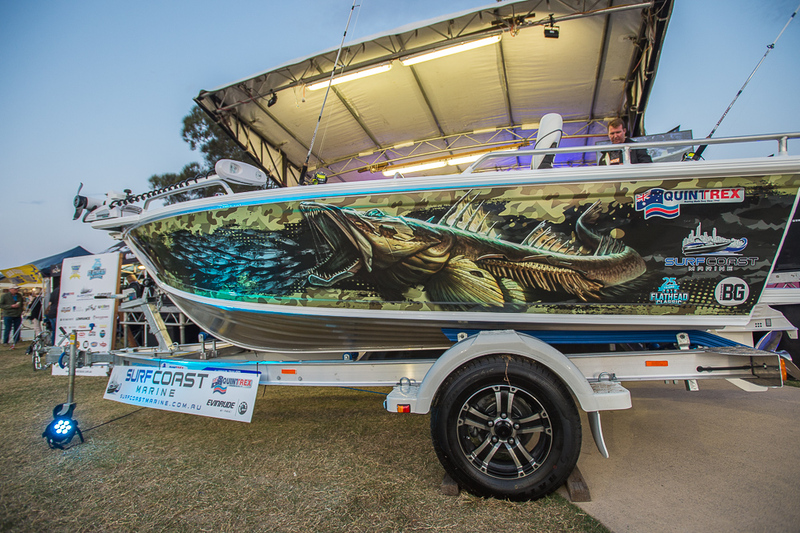 “My husband and I love to fish, and our grandkids are so excited to get out on the water with us and test the new boat out”. 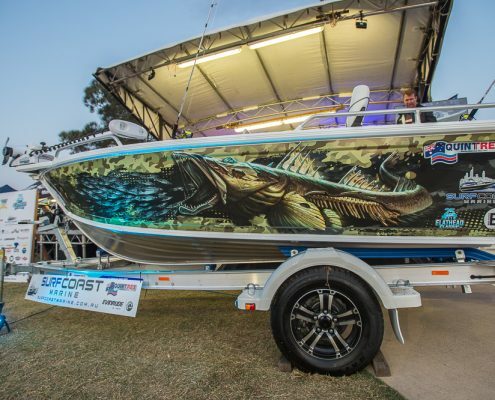 The prize pool for the event set new records with a total of $452,486 given away over the 4 days. 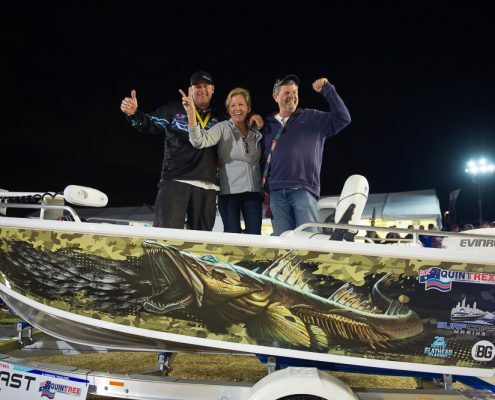 “We love giving back to the anglers”. 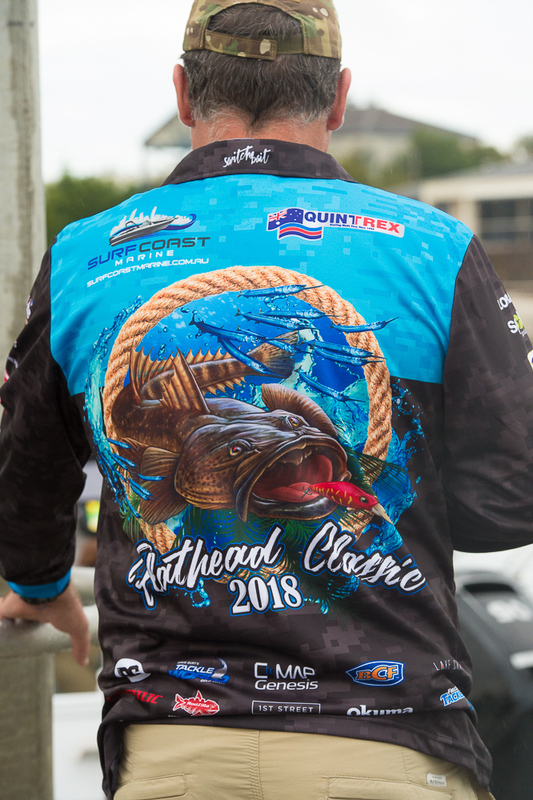 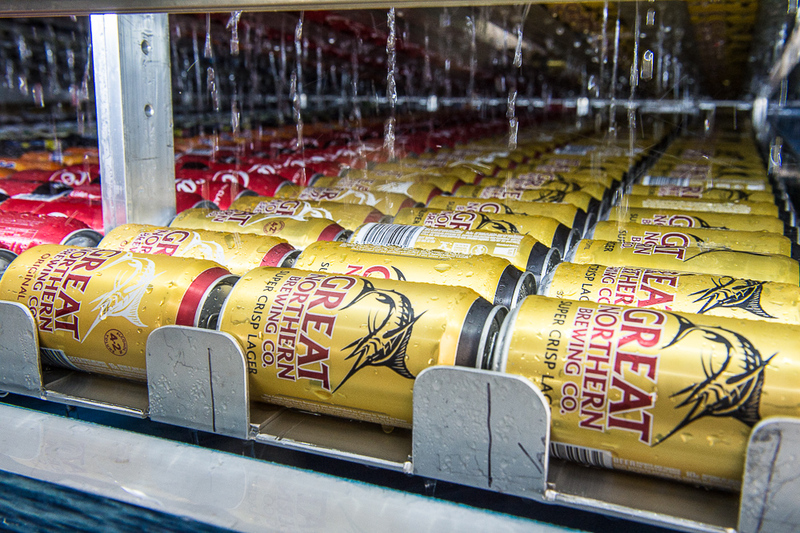 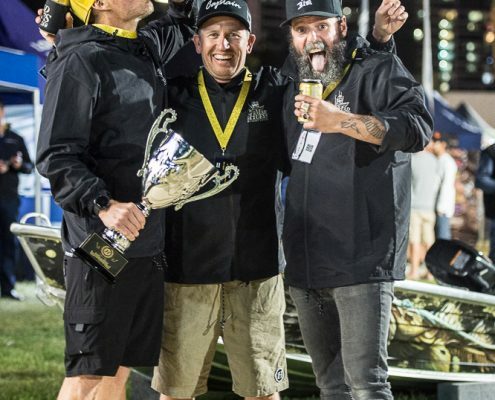 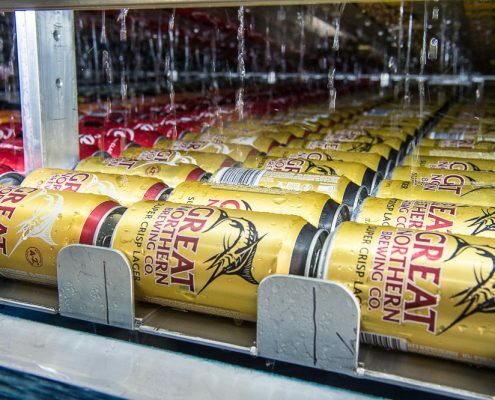 “During team registration on the opening night, we gave away just over $180,000 worth of product in the team bags, with anglers basically receiving their entry fee back in fishing gear and merchandise”. 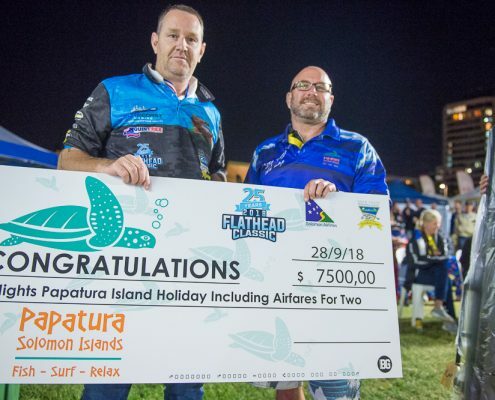 “This was in addition to just under $30,000 given away over the 4 nights through general raffles and daily competition prizes”. 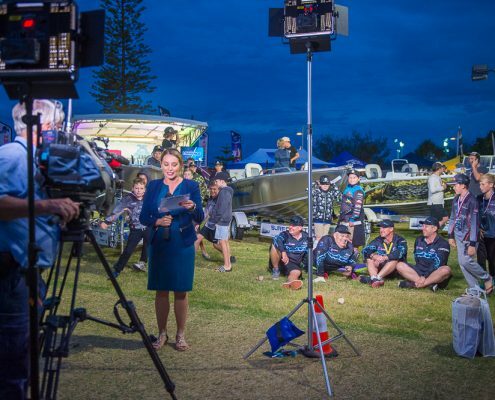 Wrapping up, organisers reached a massive audience Australia wide through social media, with the nightly entertainment uploaded to Facebook and covered across channels 7 and 9. 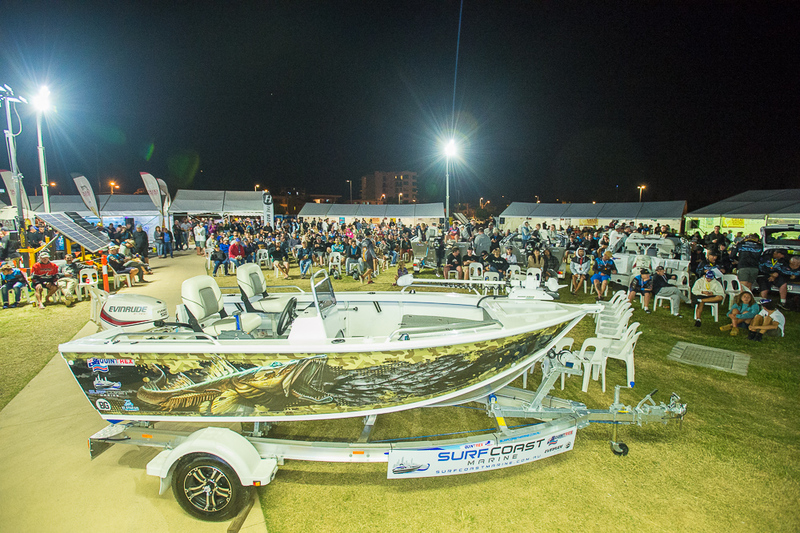 The event was also lucky enough to have celebrity fishing; personally, Andrew Ettingshausen from Escape with ET, John Coutis an internationally renowned inspiration and motivational speaker, The Mad Hueys, and the event was MC’d by non-other than local TV personality Paul Burt, who did a fantastic job onstage each night, receiving excellent reviews for his crowd involvement and interest. 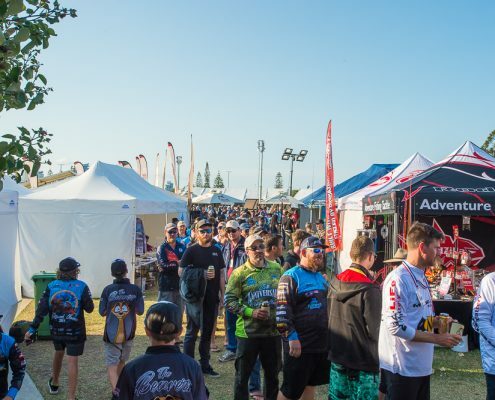 “The outcome of the 2018 event is a testament to the positive evolution of the club. 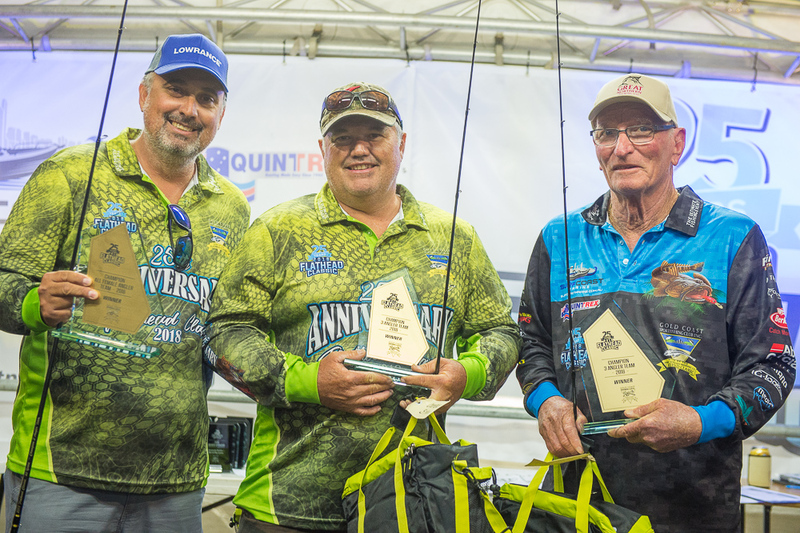 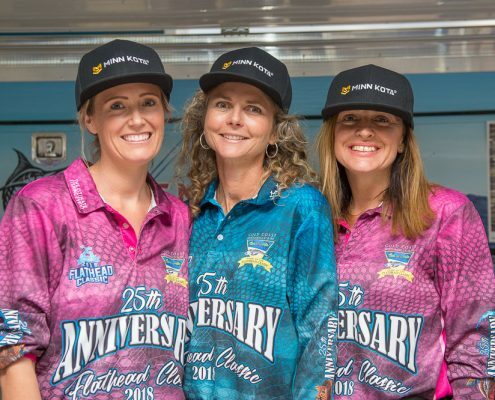 Past and present committee members and even a handful of club members, who have paved the way to where we stand today, each of whom has left their legacy, contributing to the 25th Gold Coast Flathead Classic taking the medal for the best fishing event Australia has to offer”. 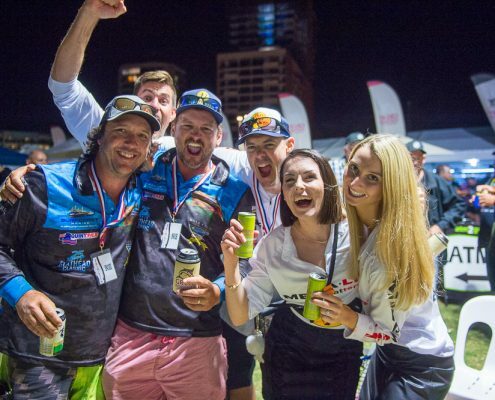 The committee is set to start planning next year’s event in the coming weeks.